Personal finance: Am I the only one that sees a problem here? Why on God’s green earth would Councilman Zimmerman’s salary be a topic for discussion? I asked and the answer I got was disturbing on several different levels. It appears Zimmerman took early social security to help make ends meet and now doesn’t want to make too much money and jeopardize his new government check. My instant reaction was to wonder why he did not think about the ramifications of running for office when he qualified for the Ward 5 Council earlier this year. Normally a politician not wanting to take a paycheck would be refreshing and it could have been for Zimmerman had he thought things through but it is clear he didn’t do that before running to the taxpayers for a solution to his personal financial problem with Social Security. It also carries implications about his financial acumen which, for a councilman in a “strong Mayor” town whose main job responsibilities are financial in nature, (Budget and annual audit) is a must in order to be effective. I am asked about taking social security early frequently in the day job, in fact the interplay between taking early social security and planning for a steady retirement income stream is the number 1 question I am asked by my individual income tax clients. Since Mr. Zimmerman put his personal finances on display I’ll use the numbers he disclosed to illustrate a point that trying to game social security is a losers game. 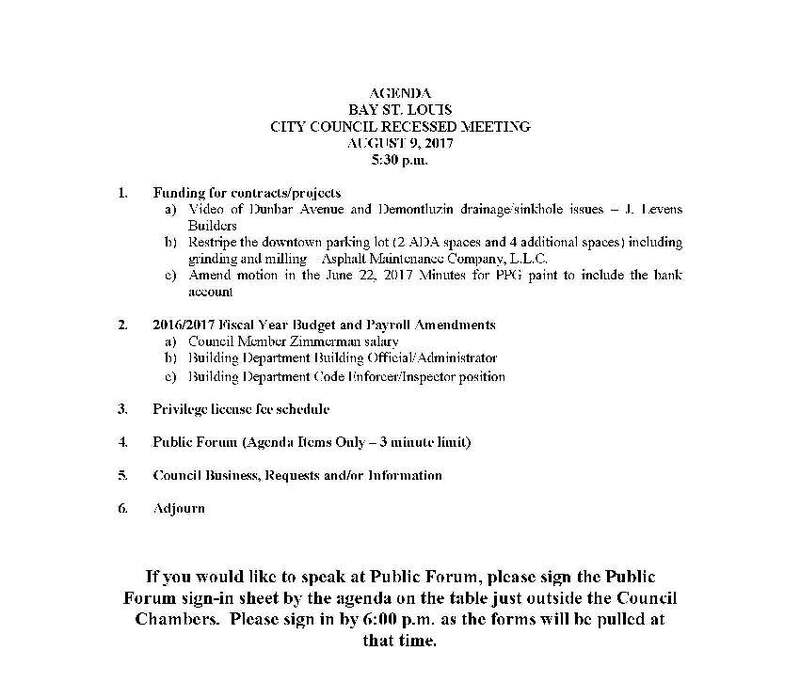 Author Douglas HandshoePosted on August 9, 2017 August 9, 2017 Categories SopTags Bay St Louis City Councilman Buddy Zimmerman, Personal Finance, Rescission, Social Security, Taxation4 Comments on Personal finance: Am I the only one that sees a problem here? Rebranding the Democrats: Ditch Obama and get behind Elizabeth Warren. Late last week Times Picayune pundit Stephanie Grace wrote a column on the call to rebrand the Louisiana democrats who are now on life support giving a local flavor to trend toward the southern states once again chipping in solely with one political party. I thought of it when I saw the name Elizabeth Warren pop up in the news cycle in the aftermath of President Obama’s online conversation at LinkedIn yesterday. Author Douglas HandshoePosted on September 27, 2011 March 14, 2014 Categories SopTags Crooks in Gucci Suits, Economics & Finance, Elizabeth Warren, Rep John Fleming, TARP; Government Handout; Corporate Welfare, Taxation, Useful Idiots5 Comments on Rebranding the Democrats: Ditch Obama and get behind Elizabeth Warren. Does John Fleming represent you? Does he “look” like you? Does he identify with you? Folks I’ve prepared tax returns since the late 1980’s and worked as a CPA for small businesses both larger and smaller than Louisiana Representative John Flemming’s fast food empire. Back in the 1990s when tax rates were higher 6 figures folks like John absolutely paid more in taxes. Our budget was balanced and the economy was booming. Author Douglas HandshoePosted on September 19, 2011 March 14, 2014 Categories SopTags Economics & Finance, Koolaid drinking, Rep John Fleming, Taxation6 Comments on Does John Fleming represent you? Does he “look” like you? Does he identify with you? This was the topic of last nights nightmare except the due date in my dream was March 9, 2009 instead of July 30, 2009. I’ll add a person seriously needs time away when dream fodder is workload planning. Everyone in the GO Zone that received a homeowners grant owes Gene Taylor a big thank you for getting that bit of relief through Congress last year. Author Posted on March 31, 2009 Categories Economics & Finance, Gene Taylor, Ground Zero, Hurricane Katrina, SopTags IRS Notice 2008-95, TaxationLeave a comment on A rare glimpse…..